Handmade Detroit | SASHA Farm needs your crafty help! SASHA Farm needs your crafty help! 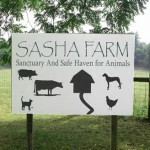 SASHA Farm (Sanctuary And Safe Haven for Animals) is the largest farmed animal sanctuary in the Midwest, and is located right in our back yard in Manchester, MI. They provide food and water, veterinary care and a shelter for various animals, as well as give the animal residents affection, social interaction with others of their own species, and a sense of security. SASHA is getting ready for their annual silent auction, which raises a large percentage of their operating budget for the year. They have asked for help in collecting donated items for the auction, and here’s where you come in! animal-friendly (no leather, fur, feathers, wool, etc). Donations can be sent to the sanctuary: SASHA Farm, Attn: Amanda, 17901 Mahrle Rd., Manchester, MI 48158. 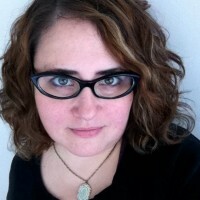 If you have any questions, please contact SASHA Farm. Thanks, Amy! We very much appreciate the help collecting donations. Handmade items, especially locally made ones, are always a huge hit at the auction, and with new mouths to feed arriving almost every week, we’re really counting on the auction this year. We’d be happy to acknowledge the donations on our website, and we can provide a receipt for tax purposes.